Part sail loft, part lighting gallery & store. 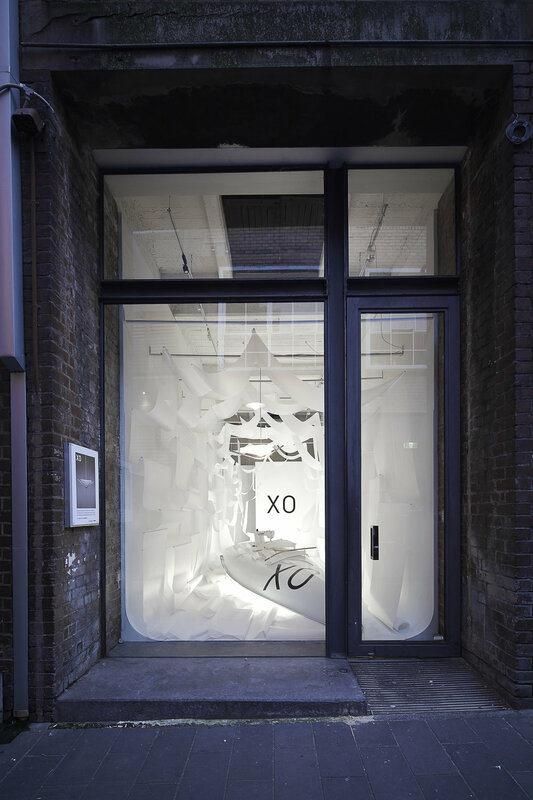 The lightloft is a temporary space designed to launch the XO light. Inspired by yacht racing and sail shaping it aims to show how the light is made as well as being inhabited by a sail maker who is fabricating the lights on-site.